Chuck, last week we spoke about the Democratic Party alleging shenanigans in getting Green Party candidates on the ballot at the last minute. And now the Democratic Party is suing to get the Greens off the ballot, alleging invalid signatures on the qualifying petitions. Chuck Johnson: That's right. They they've gone to court and a hearing is scheduled later this month before a Helena District Judge, Kathy Seeley, on whether their complaint is valid or not. And it promises to be a very interesting decision however Judge Seeley rules, because the Green candidate on the ballot could definitely take votes away from Senator Jon Tester, just as Libertarian candidates on the ballot took votes away from Senator Conrad Burns and Representative Denny Rehberg, the two candidates that Tester beat in the last two elections. SM: Secretary of State Cory Stapleton thinks the qualifying signatures are valid. And here's what he had to say. "We took the time to make a good decision. And we would, if you gave us three more weeks, we would have come up to the same conclusion," Stapleton says. And Chuck, his certainty about the Green Party signatures being valid strikes some Democrats as odd, at best, given Stapleton's previous assertions that many signed ballots in earlier elections in Montana were possibly fraudulent, which turned out not to be the case, but he made the accusation. CJ: That's correct. He's been critical in the past of these signatures for ballots and the like. And now he's saying we've reviewed them and they're 100 percent accurate. So perhaps he's right. We shall see. I guess that would be evidence that would come before the court. The Democrats contend that a certain number of the signatures were invalid for certain reasons, and if they're declared invalid then the Green Party wouldn't qualify for the ballot. So I guess it's up in the hands of the court. SM: Meanwhile, Republicans are accusing Democrats of voter suppression and calling them hypocrites, Chuck. CJ: Yeah, that's kind of a laugh too, because it's usually the other way. Democrats have frequently nationally accused Republicans of voter suppression particularly regarding the votes of black and Native American voters. SM: It could be an interesting timeline here Chuck, in that some of the ballots have already been printed and the others will be printed within the next few weeks. And if the signatures are declared invalid, then the Green Party still might show up on the ballots, but whoever would vote for them, those votes would not be counted. Is that correct? CJ: Well there's several options. They could just be stricken from the ballot altogether, or they could be allowed to be on the ballot and the votes counted. And if the court rules that they're invalid, the results wouldn't be counted. So there are a number of options. We shall see what happens. I don't know. SM: All right well we'll continue to track that, obviously. And Rob, Senator Jon Tester unveiled his third TV ad this week which aims to show, I think, his toughness. Tester ad: "Washington forgets all the time that they're working for us. When some bureaucrat back there stands in the way of Montana, I let them have it. Because if that's what it takes to get better schools, to get Montana veterans and seniors what they're owed, and to protect our public lands, well I'm wired to fight anyone who isn't doing their job for us. I'm Jon Tester and you're damn right I approve this message." SM: This ad is showing a stern looking Tester driving his pickup, complete with a loaded gun rack. Rob Saldin: Yep. I think we see here a side of Tester that we're pretty familiar with at this point. But it's also hard not to view this as something of a response to Troy Downing's ad from last week. And I wonder if the Tester people felt like they had to answer Downing's insinuation that the Tester is weak, because more than anything else, this new ad presents Tester as a fighter. The way the ad portrays Tester's tough side is by showing him as an advocate for the state of Montana, someone who's holding people in the federal government accountable. And he delivers it pretty well and it rings true because, like I said before, this was a side of Tester that Montanans know well and have seen now for over a decade. He had a YouTube clip that got a lot of attention some months ago where he's slamming a big bill down on his desk that had just been sent out, nobody had time to read it. He thought it was a ridiculous way to govern, this kind of thing. We've seen the side of Tester before, and this is one of the advantages, I think, of incumbency and being well known. A big part of the incumbent's job in the campaign is just to remind people why they've elected you in the past. Why they like you. And there was the hearing where he really went after, I believe, the CIA official and took him to task, almost lost his temper in the questioning. And they obviously think that's a good look for Tester and I think it probably is. And also all of this again really cuts against the image of Tester that Troy Downing tried to present in that ad last week, of course, as you mentioned at the top. I mean we also get these iconic Montana images at the closing of the ad that really back up that message, right? Tester is driving his truck in rural Montana with a gun rack and rifle naturally displayed in the back window and we get another close up of Testers left hand where he's missing several fingers. This has been a feature of their advertising campaign too. SM: And it's not surprising, I think Rob, at this point that his ads are more positive about him and not attack ads. But that makes sense because he doesn't have somebody to attack yet. He doesn't know who his opponent's going to be. RS: That's right. And I think to just reinforce the things that they want Montanans to remember right now: Downing and Rosendale and Fagg, all these guys, for the most part, are unknowns. People who follow politics well will be familiar with Rosendale at least. But for most Montanans, they don't know these guys. Tester is in a very different situation. He is well known. He's been around for over a decade. And so, part of his task right now is to just remind people why they like him and why they've supported him in the past. SM: Chuck a column in The Des Moines Register, an Iowa newspaper, mentioned Interior Secretary and former Montana Congressman Ryan Zinke might be interested in running for President in 2024. And this is based on a polling firm testing his name recognition there. And I guess maybe we shouldn't be surprised by that. Are you surprised Chuck? CJ: Well I'm a little surprised at 2024. That's a long way out. But we've known for some time that Ryan Zinke is very ambitious. In his first year in Congress he offered his services to be speaker of the House if necessary. He volunteered to Donald Trump when he was running for president, his services to be vice-president or a cabinet member, so he's a guy who thinks pretty highly of himself for future office. And I'm a little surprised at 2024, but I guess in Iowa and New Hampshire that's when people start doing it is years ahead of time, so we'll see what happens. SM: Rob, The Democrat Zinke defeated two years ago in his congressional race, Denise Juneau, was hired this week to be the new superintendent of the Seattle School District. And she was, of course, former state school superintendent in Montana. This is another feather in her cap, but a lot of Democrats are sorry to see such a prominent female Democrat leave the state. RS: Yeah that's right. And you know, my sense is if her real top priority was making another run for Congress or for governor or something like that here in Montana, it would clearly be best to stay in the state and maintain a public presence, maintain her relationships and so on. But there are plenty of other worthwhile and rewarding things that she can do, and this is certainly one of them. It's a great opportunity for her and I think it's also the case that it doesn't necessarily close the door on her coming back here for another run at elective office. And that's probably especially true on the Democratic side just because the Democratic bench, once you get past Tester and Bullock, it's short. And so it very well could be the case that there is an opening for Juneau to come back in a few years and give it another run if that's something that appeals to her at the time. SM: And it certainly, Chuck, builds her education resume to go from Montana to Seattle to lead a big urban school district. CJ: No question about that Sally. I would think if she's successful there, when a Democratic administration is elected she'd be someone they might look at for secretary of Education. There were rumors that had Hillary Clinton succeeded in 2016 in the president's race, that Denise Juneau was someone that might be looked at for secretary of Education then. So I don't think her political and education careers are limited at all. SM: And her ties in Montana of course are very deep. So I think we might see Denise Juneau back in Montana at some point. Rob, Governor Steve Bullock this week responded to President Trump's announcement he was going to deploy National Guard troops to the southern border by saying he, Bullock, will never deploy National Guard troops, "based simply on the whim of the president's morning Twitter habit." RS: Right. Well on the substance of the issue, Bullock seems to me to make a pretty good point. It's become routine for Trump to idly tweet one thing and then totally contradict himself soon thereafter. I mean just this week there were all kinds of mixed messages regarding our troops in Syria. It's also become apparently customary now for Trump to heap praise on administration officials right before firing them. So, certainly it's appropriate for Bullock or anyone else to take the president's tweets with a grain of salt. You know, that said, the other thing that occurs to me here is that Bullock is widely thought to be considering a run for president himself in 2020 and often pops up on long lists of potential Democratic candidates. And it strikes me that Bullock made a deliberate choice to make a public statement about this. It's not something he absolutely had to do. But in going public he generates some attention and puts himself on record as pushing back against Trump on an issue that works well for him. SM: And Chuck, it may fall along party lines, the response to this National Guard call-up. Other Democratic governors and the governor of Oregon has also said she's not about to do it. And Republican governors have said they will, some of them, so it could break down as kind of a partisan issue here. CJ: I think without question. And one other thing regarding Governor Bullock, I understand he's in Iowa testing the waters late this week in the presidential run. SM: Rob, we haven't talked about the House race in a couple of weeks. And the reason we haven't is because there's not a lot going on there other than press releases being sent out. There is a debate coming up, but it does seem like that race has gotten quiet. RS: It does. You know, the other thing I've seen are some endorsements that have been thrown out, most of which don't come as a big surprise necessarily. I think one of the reasons that we aren't hearing much, especially relative to the Senate races, is just that these House candidates don't have the kind of financial resources that the Senate candidates do, and so they have to save their money and wait a little bit longer to get ads up on the air and stuff like that. SM: And that debate I spoke of is coming up in Helena, Chuck. 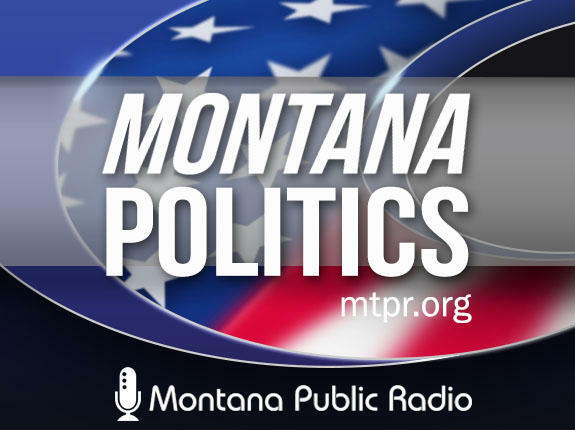 CJ: Yes, it's sponsored by the Greater Montana Foundation and there's a House Democratic debate and a Senate Republican debate coming up, I believe later in April and first part of May, and it will be at the Montana Historical Society. But I think it will be live-streamed statewide. SM: We'll follow those debates, of course. 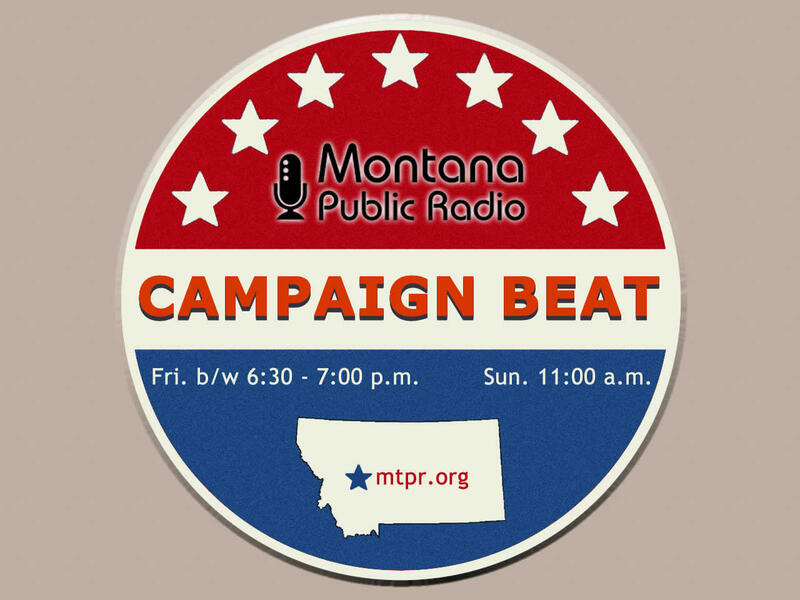 And you've been listening to "Campaign Beat" our weekly political analysis program. 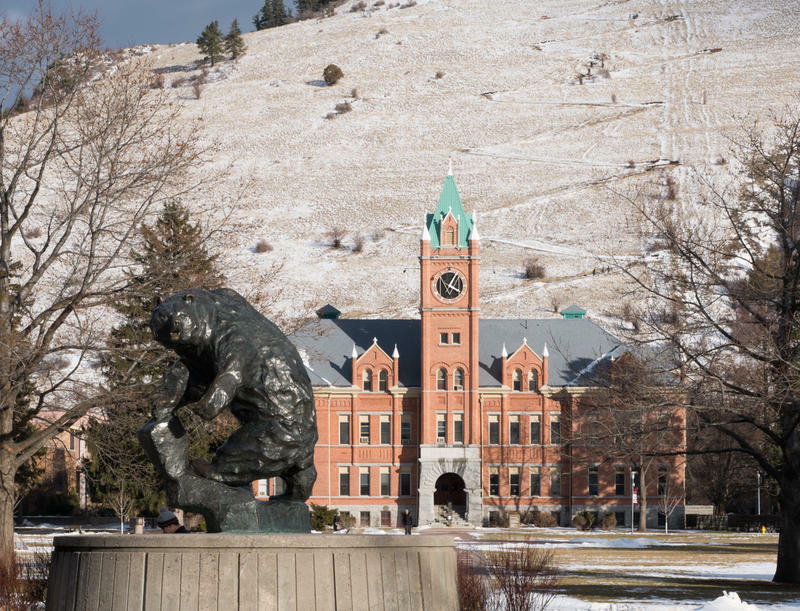 I'm Sally Mauk, I've been speaking with University of Montana Political Science Professor Rob Saldin and veteran Capitol Reporter Chuck Johnson. And guys think spring and I'll talk to you next week. 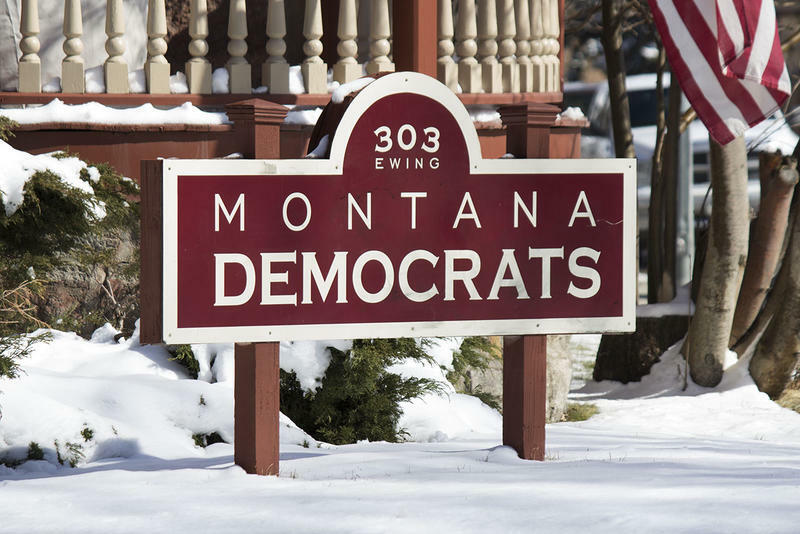 Montana Democratic Party headquarters in Helena, MT. The Montana Democratic Party is suing Montana’s Secretary of State and the Montana Green Party to block the Party from appearing on election ballots this year.